Extra Batteries. Are They Necessary? How many times have you actually missed the important shot of the day because your action camera’s battery died? Okay, probably not an awful lot. But if something really important is just right there and can’t shoot, well, let’s be honest, we use our cellphones. Unfortunately, you don’t want your expensive smartphone mounted on a helmet, bike handlebar, or worse, a surfboard. Even if you had a waterproof phone, it’s just not built for it. It’s the reason why you got yourself an action camera, remember? Another point to consider: higher resolutions, higher bitrates, and higher framerates use more battery power, you’ll run out of juice faster if you want better quality videos. What to do now? Do what the pros do: go buy some extra batteries. Yes, batteries. Plural. Until they figure out fuel cells for all the gadgets we use everyday and make it available to the public, you need extra batteries. You’ll probably need at least three in total, if you’re a more-than-average user. One in the camera, one for backup, and another one just in case. Batteries are cheap. That video of you doing something new for the first time and pulling it off perfectly, that’s just priceless. Get a charger. And get one that can accommodate those two batteries should the need arises. A good reliable powerbank stashed in your bag is an awesome idea too, just make sure it’s also charged. Don’t go cheap on powerbanks, the better ones usually have an overcharge protection, have lab-tested batteries, and a pass-through technology where you can charge it while you use it. That way, if you’re around a wall socket you can top it off, charge the extras, and not worry much. One good thing about Lithium batteries is that they don’t have to to be fully drained before you plug them in for charging. Gone are the days of the Ni-Cad batteries that require you to fully discharge it, otherwise the memory-effect that plagued Ni-Cads will eat into their lifespans. Not with Lithiums. Lithiums are a happy bunch. They’re more forgiving. You can take them off the charger even if they aren’t full yet. Although, it is best to never leave them fully discharged for long periods. SJCAM Dual-charger and 2 batteries. Underneath it is my trusty 3-year old Zendure powerbank, it has been with me on so many trips I lost count. Still works perfectly to this day. Just remember that all batteries require your attention, whatever material they are made of. Although a lot of batteries nowadays have a circuit protection, they can overheat, or even explode if you just let them sit on the charger for way too long. Just follow the instructions on them and you’ll be fine. Take them out of the charger once they’re full, put them in a dry case where the battery terminals cannot touch loose change, keys, or anything metal, and you’re good to go. O and, one last thing, turn off your camera than keep it on standby, or just set it to turn off by itself should you leave it on. The teeny bit of battery you save will be worth it when that moment you need to shoot is right in front of you. 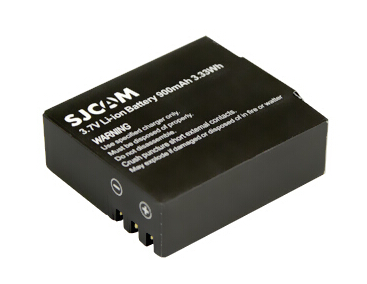 Dual-Slot Battery Charger for the series SJ4000, SJ5000, and M10 available HERE. 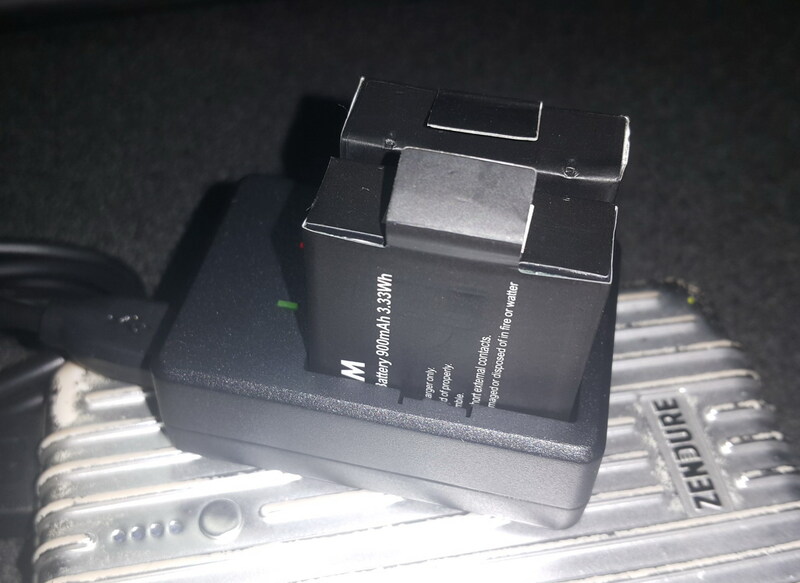 Dual-Slot Battery Charger for the M20 available HERE.